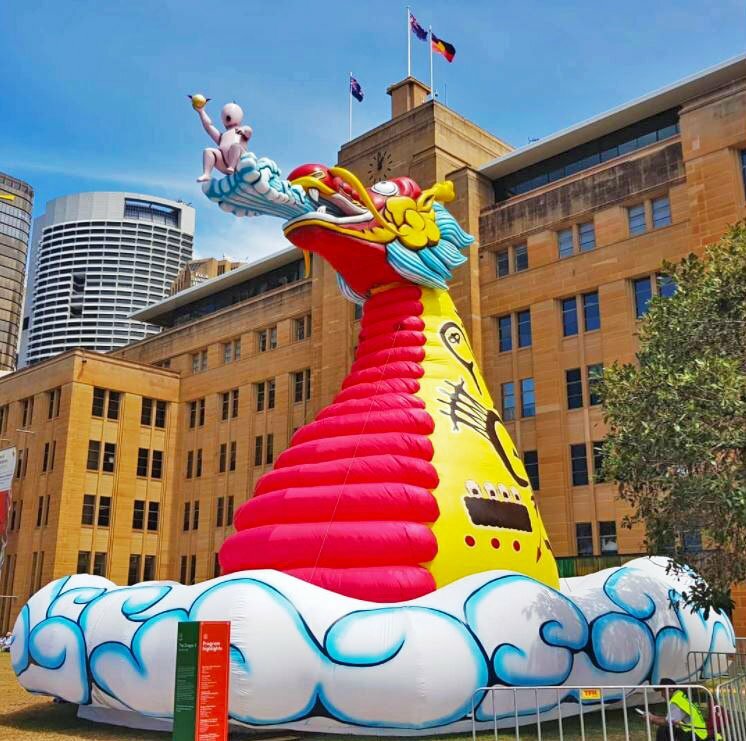 Pink Cactus proudly project managed and built this collaboration with Solidair Designs. 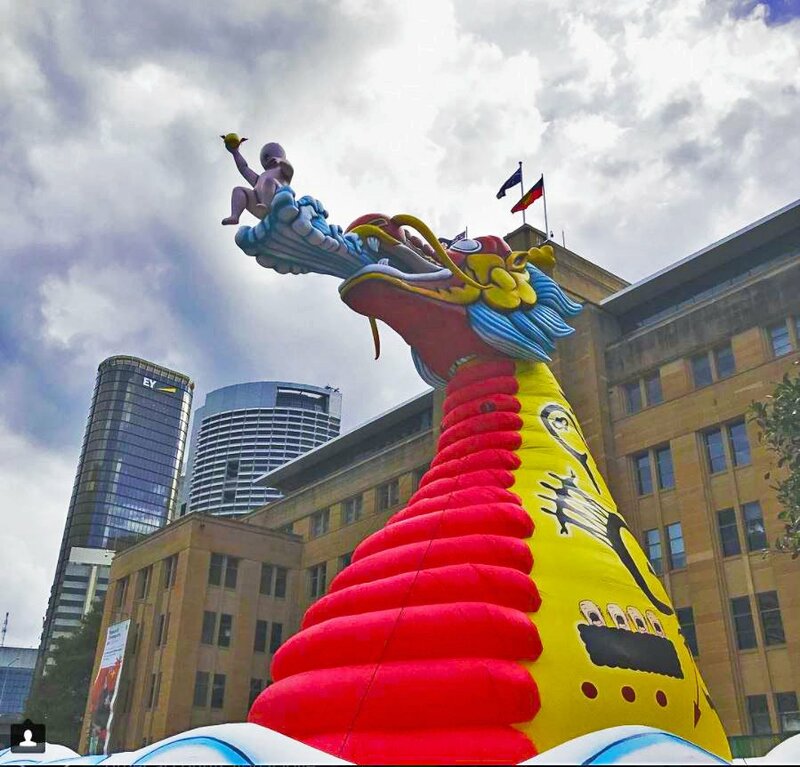 Many weeks work went into designing and fabricating this impressive 13 metre tall part inflatable, part fibreglass Dragon. 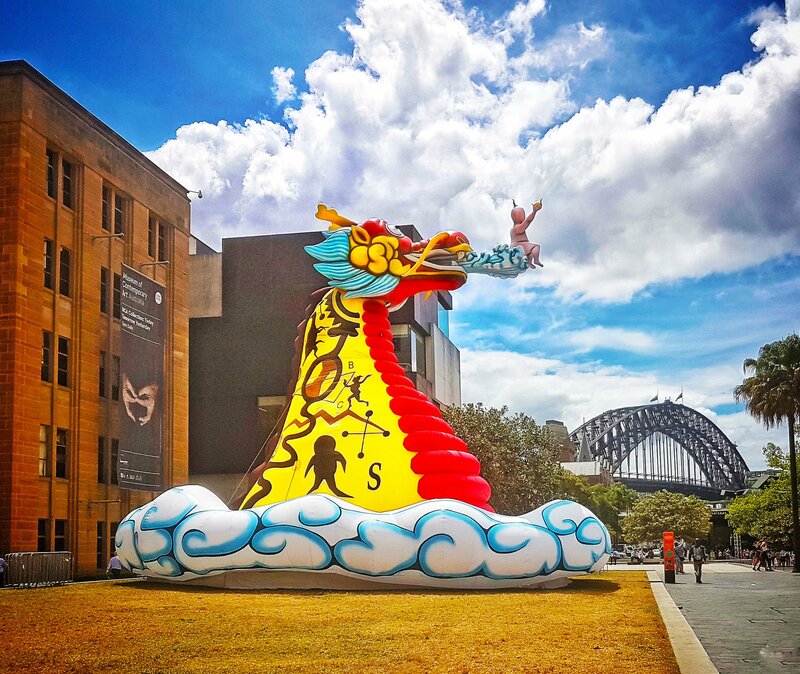 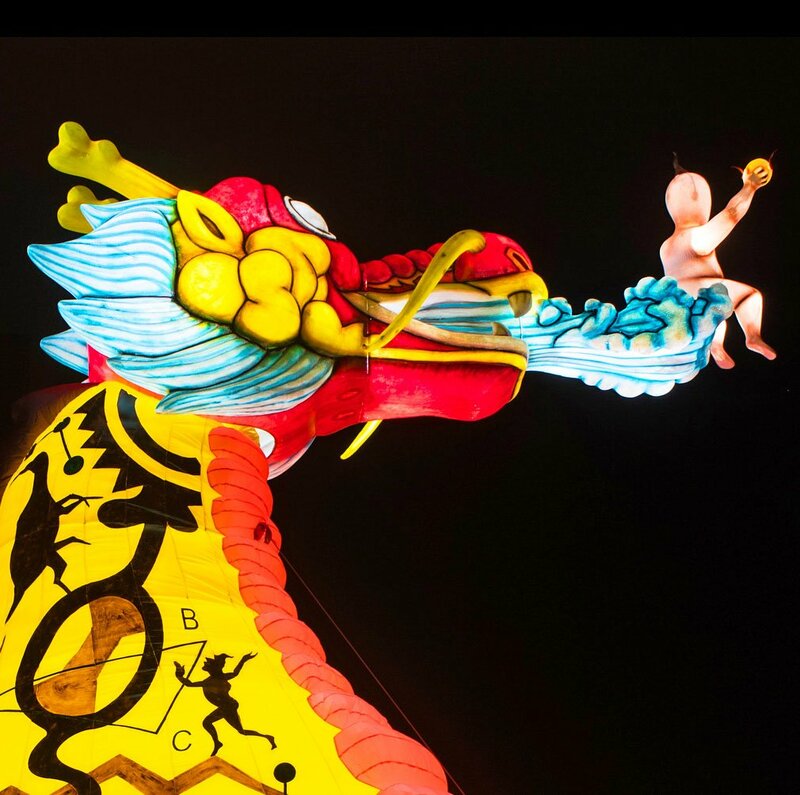 Conceived by artist Guan Wei, and commissioned by City of Sydney, the majestic lantern sat on the front lawn of the Museum of Contemporary Art Sydney for the Chinese New Year Festival of 2018. 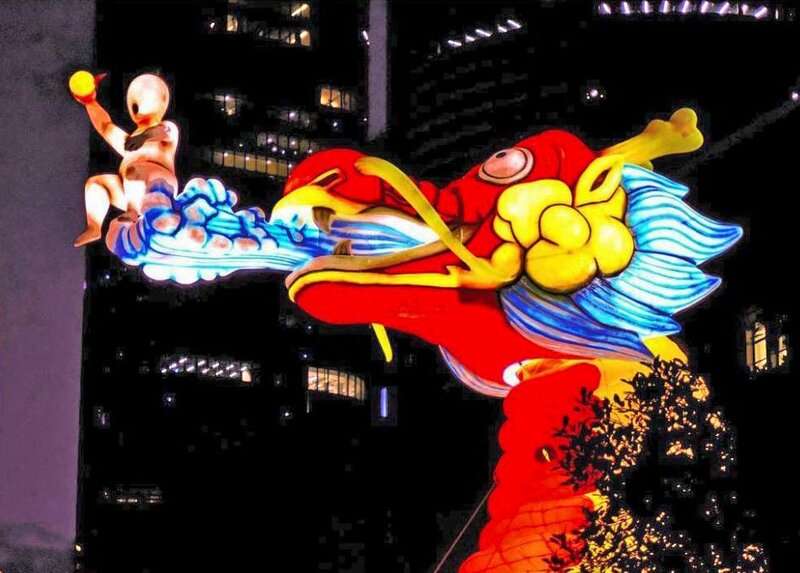 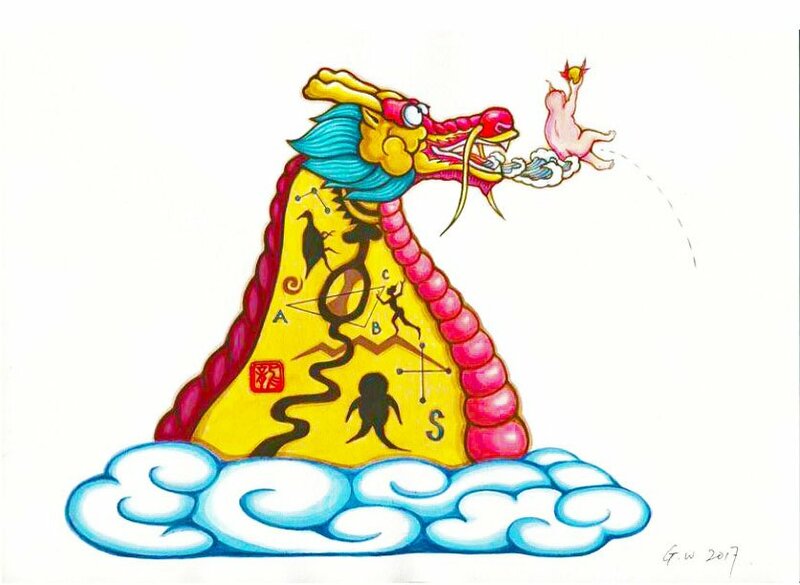 Chinese New Year Dragon Lunar Lantern - designed by Artist Guan Wei, commissioned by City of Sydney.